Saturday 27th April 2019, 6:30pm. Doors Open 5:30pm. 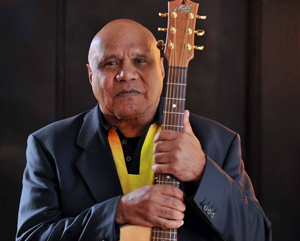 ARCHIE ROACH + Special Guest SALLY DASTEY in Concert at The Metropole Guesthouse Upstairs for ‘Metro Social’ Katoomba, Blue Mountains, SUN 28th APRIL 2019. MATINEE: Doors Open 12pm. Sunday 28th April 2019, 1pm. Doors Open 12pm. Saturday 1st June 2019, 6pm. Doors Open 5pm. We are very pleased to welcome Daniel back to the Blue Mountains and after the last SOLD OUT show we advise booking early to avoid disappointment! Chris Gillespie is an independent artist from the Blue Mountains of NSW. His songs are beautiful, bursting with observational yearning. “A fingerpickin’, harmonica playing troubadour… ‘Sydney’s answer to Bob Dylan” (Dave Regos – FBi Radio). Gillespie is renowned by his audience and peers for his song writing craft, especially his lyrics. This music is very Australian, highly original and delivered with refreshing honesty and integrity. Saturday 29th June 2019, 6pm. Doors Open 5pm. In 2010, Nathan’s battle with insomnia and anxiety was witnessed by thousands when he blacked out on a festival stage. Struggling to regain his confidence and drive he stepped away from his art with the expectation of never returning. Whilst the performing came to a halt, his song writing developed a far deeper level of expression with a diverse range of influences. This love of music offered him a similar type of therapy it had when he battled leukaemia as a child. Motivated by his passion to play and write, he stared down the fear of live performance and determined that it was time to make a record. His upcoming EP ‘Demons’ stretches beyond the traditional rock, blues and roots that Cavaleri is known for. The release of the first single ‘Demons’ marked his 6 year rise above mental health challenges and return to the stage. ‘Rising Sun’ is a track in which he pays tribute to the man that landed him his first record deal and tour at age 10, Jimmy Barnes, and is an emotive step from the profoundly beautiful title track. 2018 was the year of Hillbilly Blues, Morris’ second solo album and one that eloquently encapsulates the spirit and verve of the musician and songwriter; his raw swagger and charm in full flight. In recognition of Kristen Lee Morris’ songwriting, Henry Wagons chose the single ‘Cowboy’ as his local song of the year on Double J’s Tower Of Song. Saturday 3rd August 2019, 6pm. Doors Open 5pm.